An official notice dated 31 October from the Department of Health in South Africa confirms that travellers going to or coming from Zambia are no longer required to produce a Yellow Fever vaccination certificate when in South Africa. To download a copy of this notification please click here. Every passenger, including children and infants requires a passport valid for international travel. Please note that visitors to South Africa must have a passport that is valid for at least 30 days after the intended return date from South Africa. All non-South African passport holders are required to have at least 2 unused visa pages for entry/departure endorsements by South African Immigration Service in their passport and passport replacing documents, each time entry is sought into South Africa. These pages are in addition to the endorsement/amendment pages at the back of the passport. South African government regulations prohibit airlines from boarding passengers without the required blank visa pages. For travel within Zambia passengers must present a valid photo ID which can be either a passport, National registration card or valid driving licence. 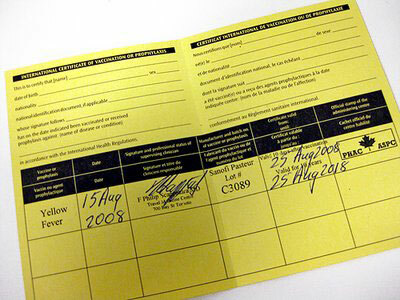 For infants or children yet to be issued with a passport- an under-5 vaccination book or birth certificate can be used. Since 01 June 2015, regardless of the time of booking, all minors under 18 years of age travelling to and from the Republic of South Africa, have to present additional documentation. These new regulations apply to all travellers, regardless of their nationality. They were promulgated (set out) in terms of the South African Immigration Amendment Act of 2010 and define children as persons under the age of 18. It is the responsibility of passengers to ensure their children have the correct documentation or risk being denied boarding. The new law will be enforced by airlines and immigration officials at land borders, sea ports and airports. Proflight together with every airline operating to/from South Africa are responsible for advising its customers on the new Immigration regulations relating to Minor’s under 18 years. These regulations are enshrined in the laws of the Republic of South Africa. While we will endeavour to provide our customers with timely information any changes to the regulations Proflight accepts no liability for any inaccuracies in the content and/or for consequential loss in the event of denied boarding due to decisions of any government agency. When both parents are travelling with a child, they need to produce an original or certified copy of the child's unabridged birth certificate that shows the names of both parents. In cases where the certificate is in a language other than English, it must be accompanied by a sworn translation issued by a competent authority in the country concerned. When a child travels with only one parent, additional documents should include a certified affidavit in which the absent parent gives consent for the child to travel, a court order granting full parental responsibilities or legal guardianship of the child, or the death certificate of the absent parent. The affidavit should be no more than three months old, from date of travel. In the case of a child travelling with a person other than a parent, the original or certified copy of the child's unabridged birth certificate must be supplemented by certified affidavits from the parents or legal guardians confirming that the child may travel with that person, copies of the identity documents or passports of the parents or legal guardian, and the contact details of the parents or legal guardian. Similarly, a child travelling as an unaccompanied minor, must produce the original or certified copy of the child's unabridged birth certificate, proof of consent from both parents, or legal guardian and contact details, plus documentation relating to the person receiving the child in the Republic. The latter documentation should include a letter stating the person’s contact details and residential address and contact details where the child will be residing, plus a copy of his or her identity document, passport or residence permit. All documents must either be original or certified as true copies of the original, by a competent authority. All photocopies must be certified and the date stamped on photocopies 'Certified Copy' documents must be within three months of the flight date. Documents not in English must be accompanied by a sworn translation. We advise parents and guardians of minors under 18 years travelling to/from South Africa to visit the officialDepartment of Home Affairs website where they can find information and download relevant Parental Consent Affidavit and/or Equivalent Document.